Consistently voted at the top of the Loveland Reporter-Herald’s “Best of Loveland,” since 2008 (only skipping one year), we are proud to say we are dedicated to complete customer satisfaction. With your satisfaction being our top priority, we customize each customer’s experience. Shear NV Salon emphasizes family, in both our salon atmosphere and with our clientele. We absolutely love the fact that our Loveland clients bring their entire family to us for haircuts and our other services. Committed to excellence, we offer haircuts to women, men and children as well as style options such as color corrections, perms, styling and facial waxing. 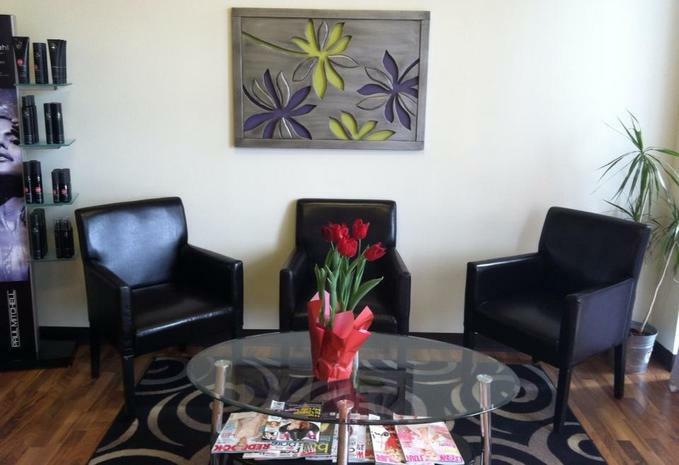 Our salon is enhanced by a warm and welcoming environment that lets you feel at home during your appointment. We are devoted to making your experience with us relaxing and enjoyable. Our experienced group of stylists strive to cut and style hair to your specifications. We listen to what you want as well as any concerns you may have, especially if you are trying a whole new style, making suggestions where we can. Whether you’re coming in for a haircut, color, eyebrow tinting or facial waxing, we strive to pamper. Call us now to set up an appointment at our Eisenhower Boulevard location.